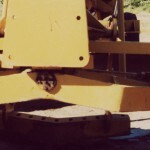 New Tax on Heavy Equipment Rental - Indiana Constructors, Inc. The Indiana Department of Revenue published Commissioner’s Directive on January 24. The directive outlines a new tax on heavy equipment rental transactions. Beginning on January 1, heavy off road equipment held for rent, such as bulldozers, scrapers, and cranes that used to be assessed via personal property tax, will be subject to an excise tax of 2.25% at the point-of-sale. The heavy equipment rental excise tax will only apply to equipment rented from a Indiana registered retail merchant from an Indiana location for a period not longer than 365 days or without a specified rental end date. Please review the document and consult with a tax professional if you have questions or concerns.